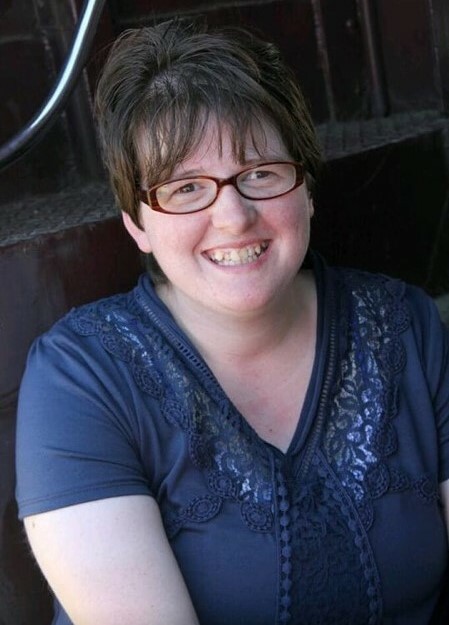 Jessica Louise Baker, 30, went to be with our Lord on March 25, 2019 at her home in Antlers, Oklahoma. She was born October 17, 1988 to her biological mother, Rouchan Michelle Baker in Norman, Oklahoma. Jessica had lived in Antlers for five years and was a member of the Antlers First Baptist Church. She loved her family, The Wiggles, watching Little House on the Prairie, and listening to music. Jessica was instrumental in the fund-raising for the Push County Foster Care Christmas party. She enjoyed being involved with her volunteer work for INCA, the Antlers First Baptist Church Food Bank, and participation in Special Olympics. She is preceded in death by her biological mother: Rouchan Michelle Baker, and biological grandmother: Alice Griffin. Jessica is survived by her parents: TC and Ronda Lawmaster of Antlers, Oklahoma; grandparents: Ronnie and Reita Mitchell of Antlers, Oklahoma, and Rodney and Darla Lawmaster of Sapulpa, Oklahoma; brothers: Samuel and Leland Lawmaster of Antlers, Oklahoma; sisters: Kristan and Brooklyn Lawmaster of Tulsa, Oklahoma, and Jacelynn and Joshlynn Lawmaster of Antlers, Oklahoma; nieces: Emily, Autumn, and Tallulah Lawmaster of Tulsa, Oklahoma; and special friend Jayme Kinder, along many other friends and family members who loved her very much. Services for Jessica will be held at 10:00 AM on Friday, March 29, 2019 at the Serenity Funeral Service Chapel in Antlers.